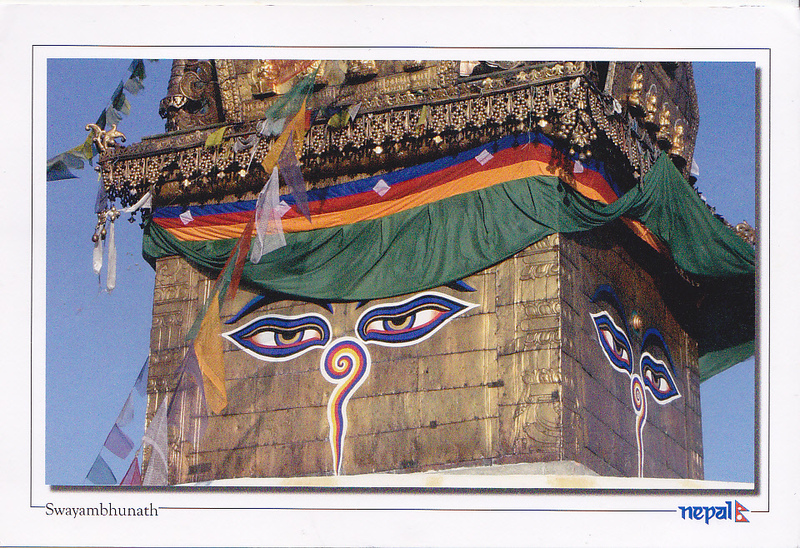 Nice stupa of Swayanbhunath, Kathmandu with those amazing watchful eyes. Thanks to Ayub of Kathmandu, Nepal. Received this postcard on July 12, 2018. 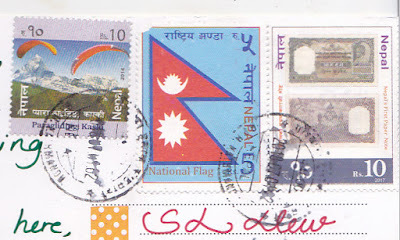 It is my 20th postcard written stamped from Nepal.